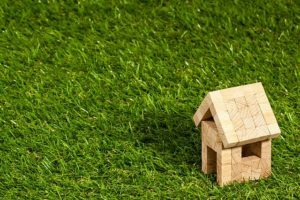 Home Real Estate News Will the RBA cut interest rates in 2019? There have long been predictions that the next interest rate move by the RBA would be an increase, but there are growing reasons to believe that interest rates could be headed lower instead. At the RBA’s last meeting in February they kept the official cash rate at 1.5 per cent. Interest rates have remained on hold for more than 2 years now, last moving in August 2016. While in the short term many believe that interest rates will remain at their historic low, with few forecasting any changes in March 2019, there are a number of indicators that are pointing to a possible interest rate cut in the near future. Andrew Wilson from My Housing Market has also hinted at the possibility of a rate cut. “Although recent data is clearly increasing the chances of a near-term cut in official rates, recent statements by the RBA continue to indicate an ongoing conservative stance on rate settings. “This however is likely to change if GDP data to be released on March 6 is again disappointing. In those circumstances the RBA will be motivated to cut rates – particularly prior to the onset of a likely lengthy federal election campaign,” he said. All up 60 per cent of experts on Finder’s survey agree that the next interest rate movement will be a cut, a huge shift in thinking since December last year when just 22 per cent believed interest rates would be headed downwards. When it comes to interest rates nothing is for certain. Whether they are headed up or down there is no telling whether or not the banks will make movements of their own accords anyway. The best thing that any borrower can do is to research and shop around for the best deals and try to pay down any loans as quickly as possible to avoid paying more in the long term.